This research is about… well, the title says it pretty clearly. I’m interested in using our approach to detect surprises in data quality in all kinds of settings. Ben did the heavy lifting for this paper, so he deserves a lot of the congratulations that it has received the best paper award from the DEV 2012 program committee. I have had this idea for a while, to go through the examples from the OpenBUGS webpage and port them to PyMC, so that I can be sure I’m not going much slower than I could be, and so that people can compare MCMC samplers “apples-to-apples”. But its easy to have ideas. Acting on them takes more time. So I’m happy that I finally found a little time to sit with Kyle Foreman and get started. 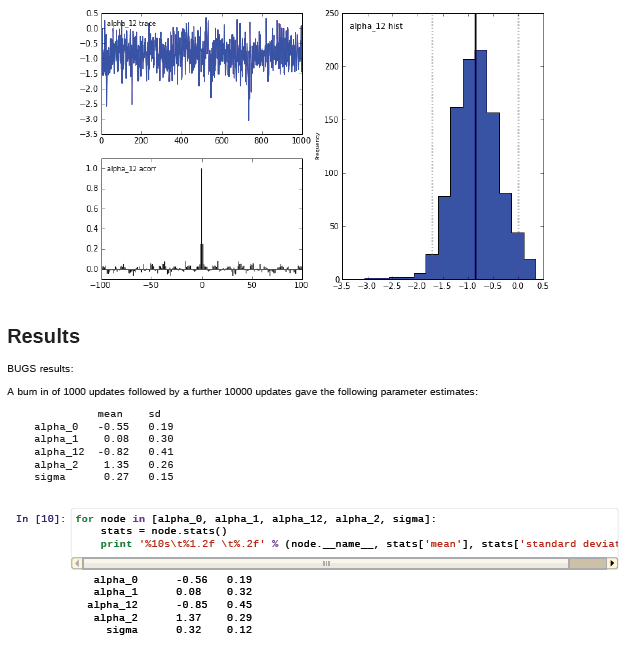 We ported one example over, the “seeds” random effects logistic regression. 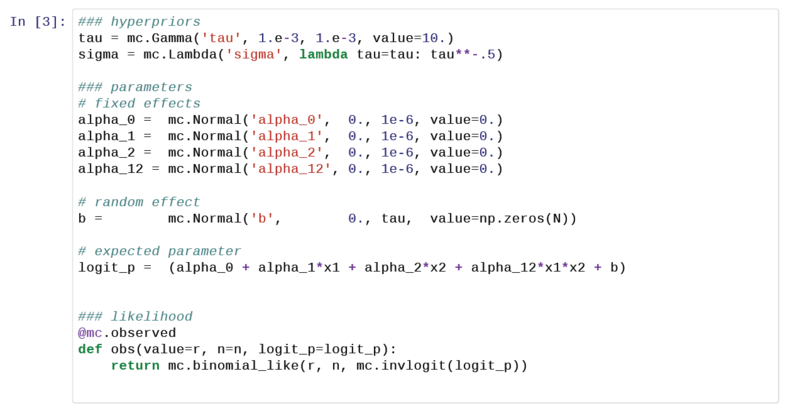 It is a nice little example, and it also gave me a chance to put something in the ipython notebook, which I continue to think is a great way to share code.